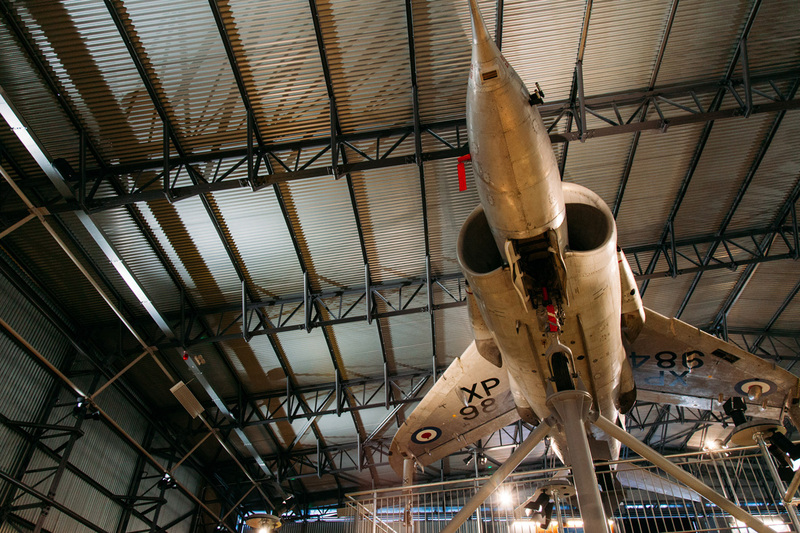 Brooklands Museum is renowned as the Birthplace of British Motorsport & Aviation. 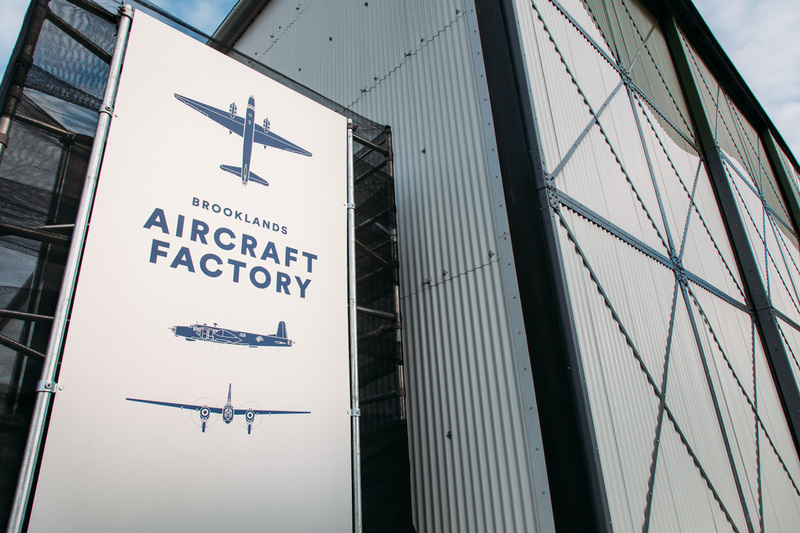 Based in Weybridge, Surrey, Brooklands shares a unique story of how its pioneering design, engineering and manufacture transformed the way in which aircraft and vehicles were built, flown and raced. The £8 million Brooklands Aircraft Factory and Racetrack Revival project is the largest ever development of the site. 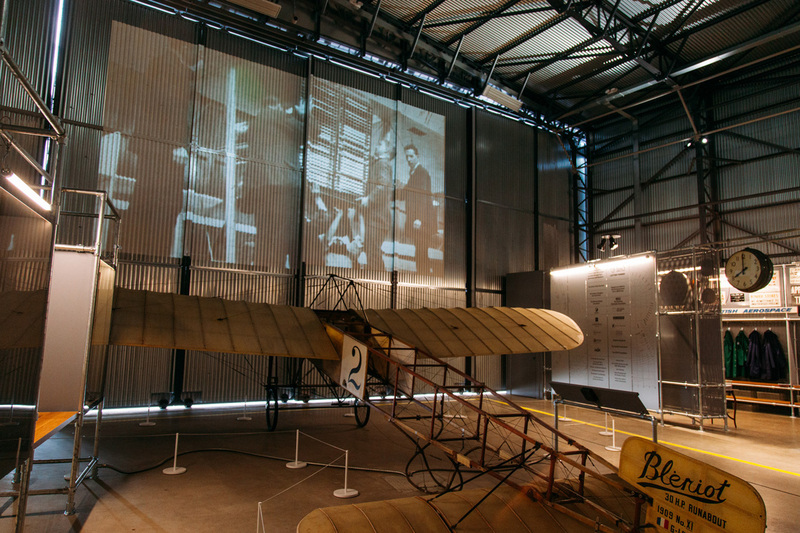 With aspirations to draw on the authentic spirit of the Museum, visitors can relive the illustrious history of Brooklands and embark on an exciting journey throughout its historic past. 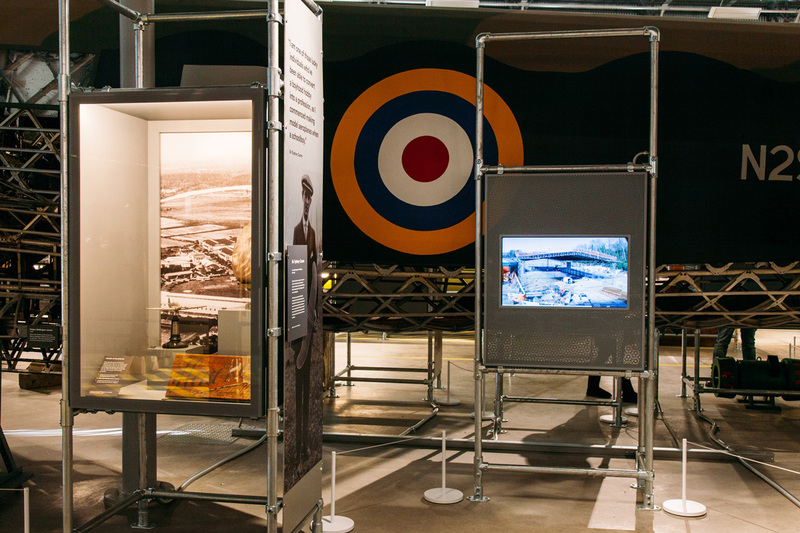 The Brooklands Aircraft Factory and Racetrack Revival project comprises of three new story spaces including renovated aircraft Hangar, newly-built Flight Shed and original Finishing Straight. The exhibition spans from early aircraft designs of wood and fabric, to the supersonic airliner and technologies of the future. 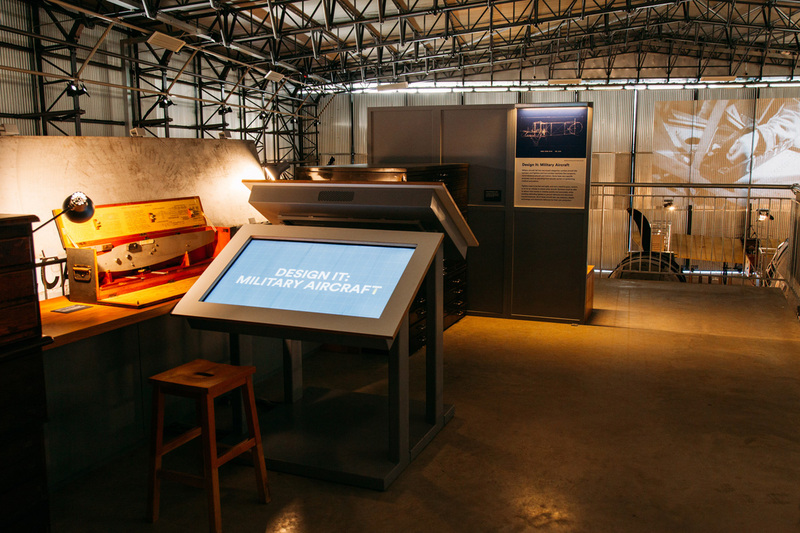 With an emphasis on “design, build, race”, the incredible collection of trailblazing aircraft is brought to life through interactive displays that educate, animate and connect visitors to the rich narrative of the site. 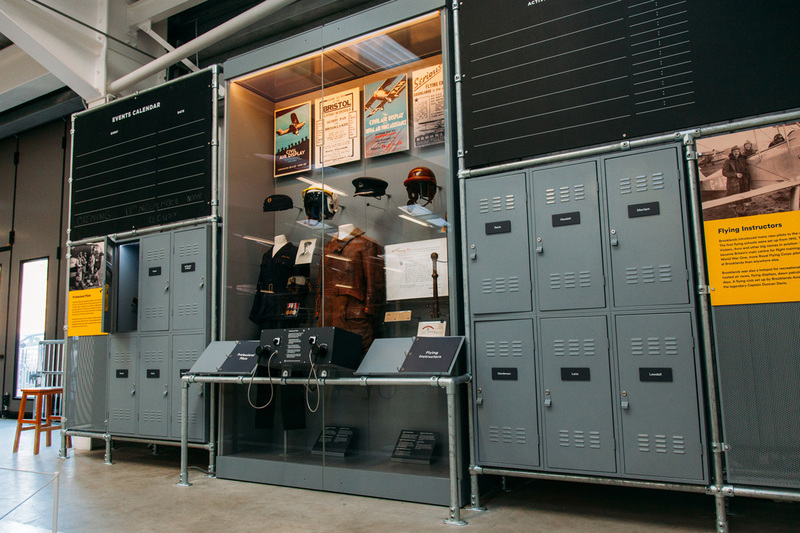 The World War II Bellman Hangar, once a transportable aeroplane shed, now offers a permanent home as the ‘Aircraft Factory’ where smells, sounds, activity and movement mimic an authentic factory environment. 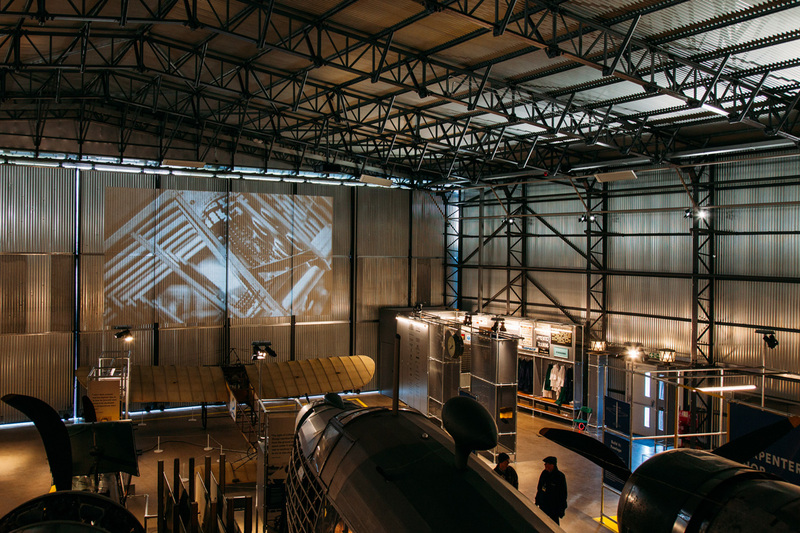 At opposite ends of the hangar, mirrored intro and outro films are projected directly onto the bare corrugated walls serving as an impressive visual backdrop. 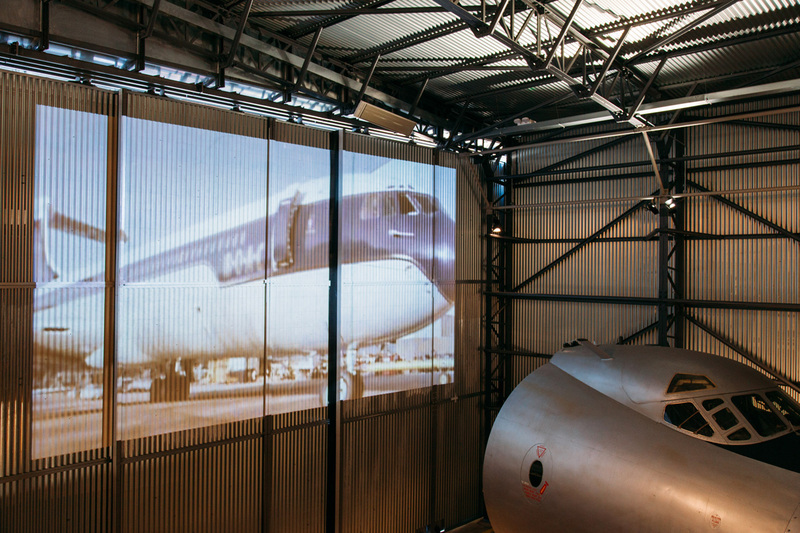 The overlap of large scale looping video footage with the real-life surroundings brings a close connection between the archival recordings and the renovated hangar itself. 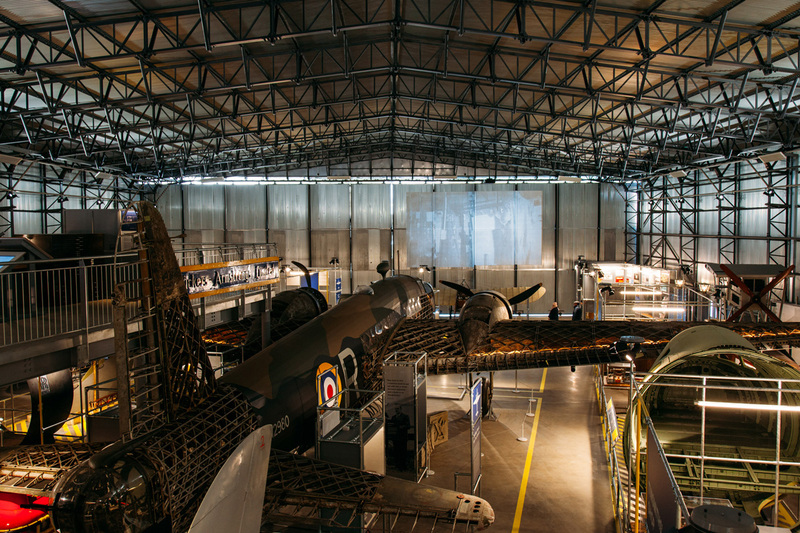 The significance of the Bellman Hangar in the context of this exhibition is shared through Moving a Bellman Hangar, where timelapse footage displays it being dismantled, conserved and rebuilt. 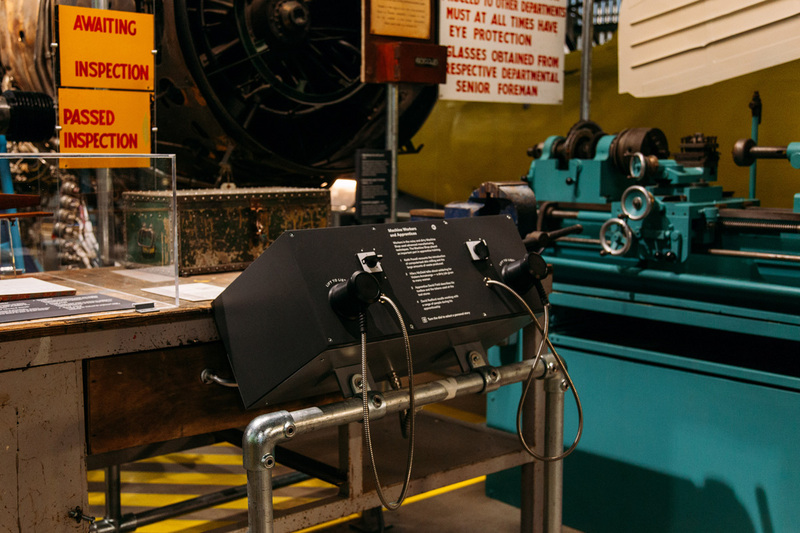 Ceiling mounted speakers deliver an 8 channel audio soundscape which enriches the experience by layering bygone sounds of machinery, workers and air raids to mimic the mid 20th Century where Brooklands was at the peak of aviation production. 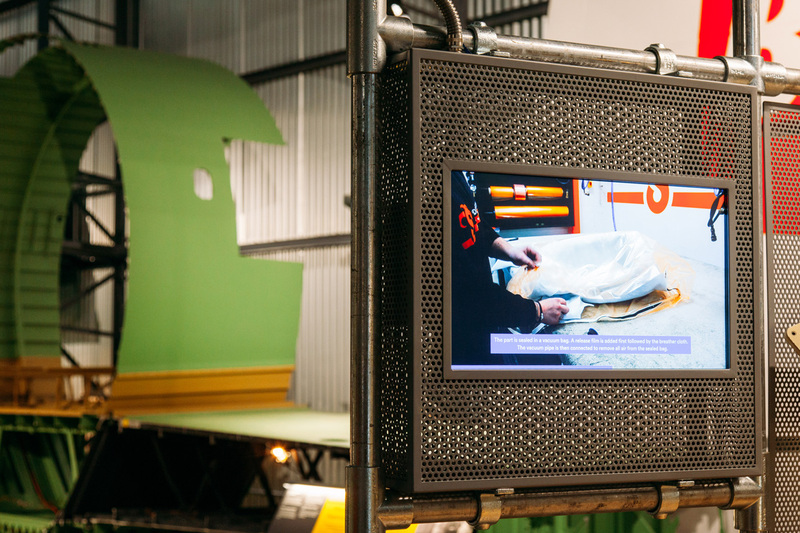 Stories, facts and historical anecdotes are shared via multi channel audio stations, offering a greater realism and depth to the operations and manufacture undertaken at the workshop. 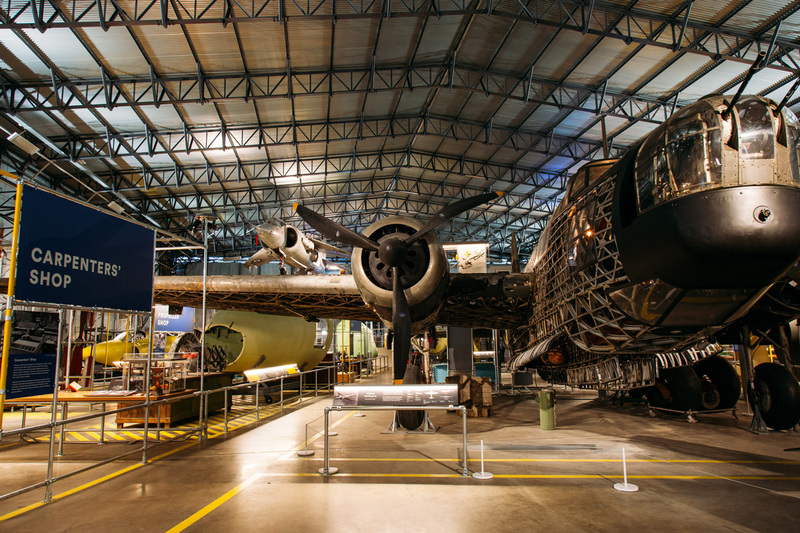 The Mezzanine Level provides a stunning birds eye view of the Loch Ness Wellington, whilst offering a new perspective of the aircraft propellers, wings and fuselages housed beneath. 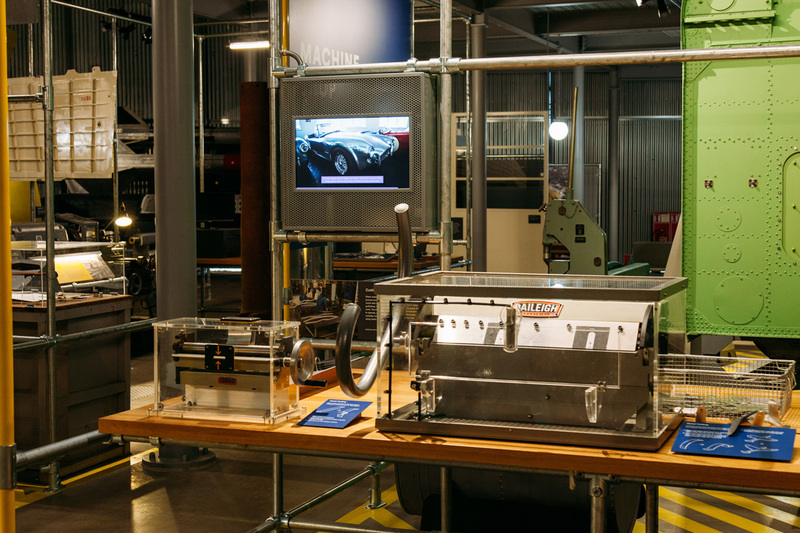 42” touchscreen interactives encourage a more engaged relationship with the technical detail, mechanical functions and engineering genius of the exhibits on display. 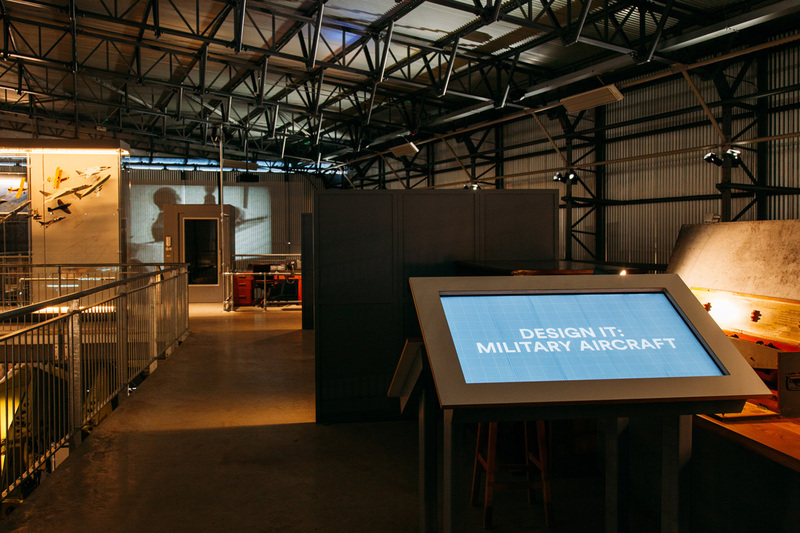 Visitors can learn more about the Principles of Flight and are given the opportunity to design a civil aircraft, military aircraft and future aircraft with the freedom to test their design in a virtual ‘airspace’. 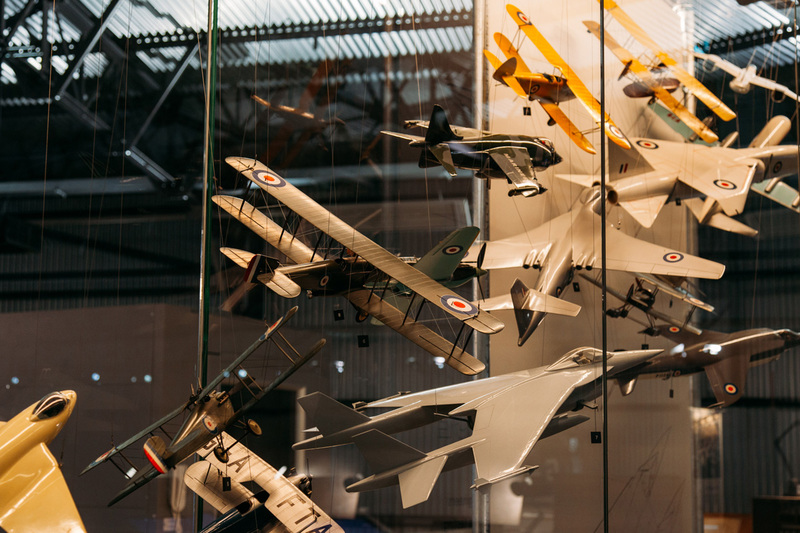 The magnificent display of aircraft continues through to the Flight Shed where accompanying pilot tales and encounters are encased within multi channel audio stations. 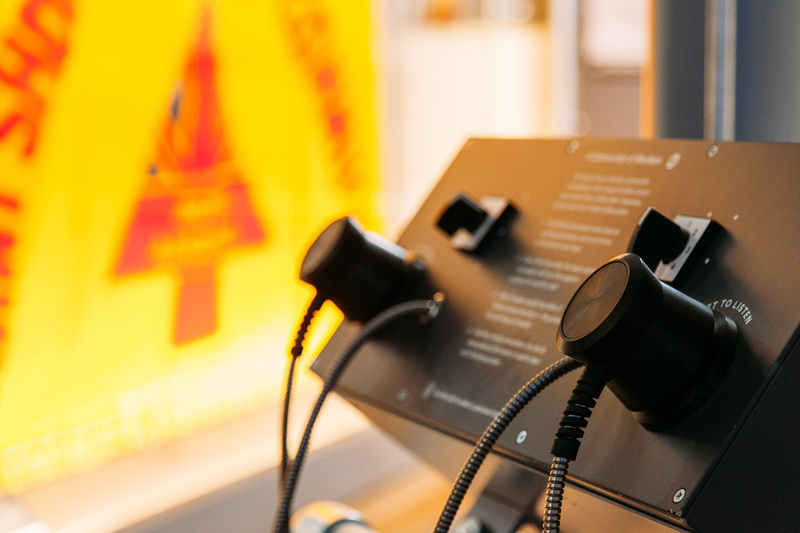 Also on display is an audio interactive which helps visitors examine morse code through the process of Decoding Morse.